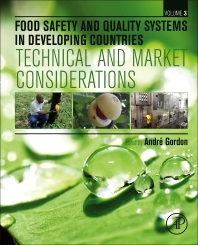 Food Safety and Quality Systems in Developing Countries Volume III: Technical and Market Considerations is a practical resource for companies seeking to supply food products from developing countries to developed country markets or to transnational business located in developing countries. It explores practical approaches to complying with food safety and quality systems requirements, backed by the science-based approaches used in the major markets applied in a developing country context. It explores the topic from the perspective of agribusiness value chains and includes deconstructions of regulatory and market channel-specific technical requirements in North America, Europe, and other major markets. Volume III builds on the platforms laid by the previous two volumes, providing guidance from industry-leading experts on addressing regulatory and market-specific microbiological, chemical, packaging and labelling, supply chain, and systems-related food safety and quality compliance requirements. This book addresses technical and market-determined standards that value chain participants in developing countries face supplying developed country markets or transnational firms, including hotels, major multiples, and quick serve restaurant brands. Dr. André Gordon is the Managing Director of Technological Solutions Limited, a Caribbean-based food science and technology service provider. He is widely recognized as a leading expert in food safety and quality systems training, auditing, and implementation, and has consulted widely for clients including the Centre for Development of Enterprise, COLEACP, the United Nations Food and Agricultural Organization, and the Inter-American Development Bank, among others. 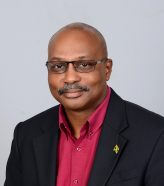 Dr. Gordon possesses over 30 years of experience in the provision of solution-oriented technical assistance to the agribusiness sector in the Caribbean, North and Central America, Western and Southern Africa, the United Kingdom, and the European Union. He is an International HACCP Alliance, 21 CFR 117 (PC Rules) and Better Process Control School Lead Trainer and a recognized Processing Authority.